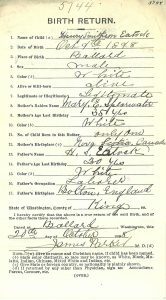 As you just start or continue on your family history research you want to be aware of any possible mistakes or slip-ups in your search. The following are a few thoughts on what to avoid doing. Number one is never accept 100% someone elses family research. 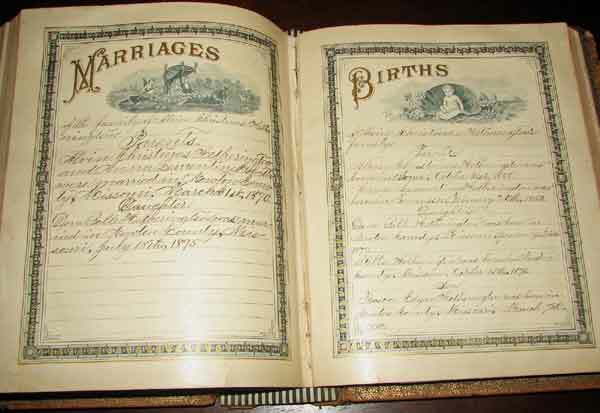 They may have everything sourced but you need to recheck every aspect your with what you do know about your family or what you can locate from vital records, family Bibles, documents, journals, newspapers, etc. Just because someone’s tree is posted on the Internet or in a database doesn’t make it accurate. I have seen where an individual blended part of one of my family branches so they thought it matched with their branch … but unfortunately, it was wrong. Allow for a variation in birth-marriage or death dates. 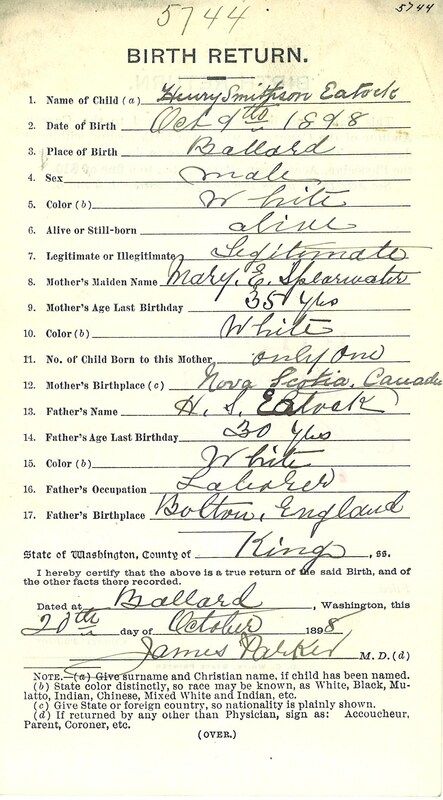 You might think an ancestor was born September 20, 1930 when actually it was September 19, 1930. When there is a varied date, use as many sources as you can locate, record the source for each date to decide which to go with. Or use both with each listing the sources. There will be individuals or family branches that are very difficult to locate anything on. Relish the challenge by seeking other sources. 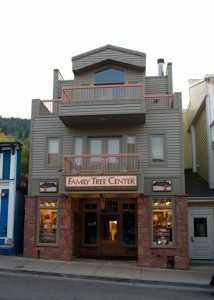 Look for help with the Family History Centers (Latter-Day Saint Church) in your community, go another route such as through that ancestor’s siblings, if known. Take a break also from searching that ancestor or branch and return in a few months. Key is not to give up. Don’t overlook checking with other family members such as cousins, nieces, grandparents even family long-time friends. They may have photos, newspaper clippings, that you have never seen. 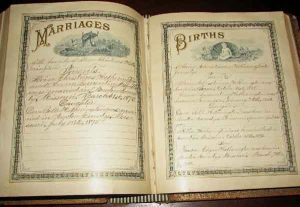 The family hometown, with the church records, the local museum or genealogical society is often overlooked as great resources. Visit the hometown if you can or for such write them (museum, society, church), asking for just one item to get started and see what comes forth. A book available for sale of your family surname doesn’t mean that has your accurate family history. Usually, it is more generic in nature. Many people might share the same surname and you could go back hundreds of years and not find in a tie-in with your family. You are unique. 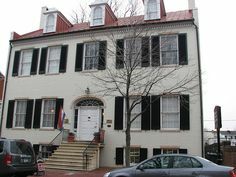 Photos: Family History Center in Park City, Utah; 19th Century family Bible; 1898 birth record; and The Museum of Frederick County History in Maryland is housed in the former home of Dr. John Baltzel.